Last week’s film, The Ides of March, dealt with the theme of political betrayal. This movie, released in 1962, and directed by John Frankenheimer, covers similar territory. Here, we have a story full of disguises, and if one cannot see through the deceptive exteriors, then betrayal is more easily carried out. 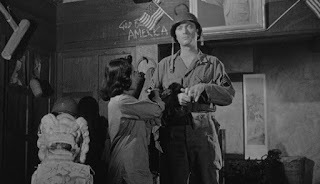 The movie begins during the Korean War. Raymond Shaw (Laurence Harvey) is a sergeant in a company commanded by Captain Marco (Frank Sinatra). Raymond shows his contempt for his almost-out-of-uniform fellow soldiers when he breaks up their party with half-dressed women as they play cards (an omen?) and drink. There is a sign on the wall that says “Home Sweet Home,” a lie, since they are far away from their homes, in danger, in a war zone. Is Raymond just a condescending prude, or, as we later see, has his domineering mother destroyed all of his ability to enjoy life? Perhaps, the soldiers are shown to be disarmed, literally and figuratively, and not prepared for the subterfuge of the enemy. Along with the soldiers on their next mission is a Korean, Chunjin (Henry Silva) who is supposed to be an interpreter and guide for the men. At least that is what he appears to be, but he steers the Americans to a place where they are ambushed, knocked out, and airlifted to the Pavlov Institute in Mongolia. However, we next see Raymond arriving in the states to receive the Medal of Honor for his heroism in rescuing his company of men. His mother, Eleanor Iselin (Angela Lansbury, who was almost the same age as Harvey at the time) and her husband, Senator John Iselin (James Gregory), grandstand his homecoming for political gain. 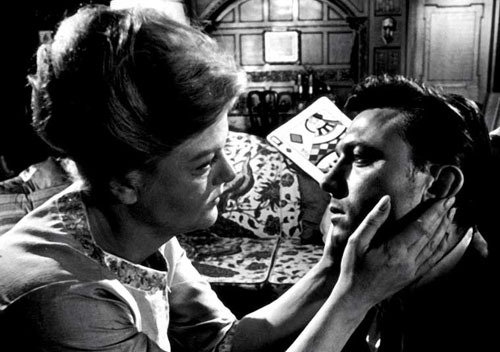 The sign over Raymond’s head says that he is Iselin’s “boy,” which is a deception, as Raymond is adamant to point out, since he is Iselin’s stepson. As opposed to the Iselins, Raymond is brutally honest when alone with them when he says he has taken a job with a left-wing journalist because he loathes his mother and Iselin. 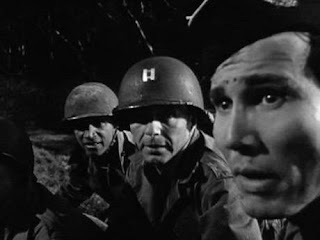 We realize that there is something not true about Raymond’s heroics when we are privy to now Major Marco’s recurring nightmares, and later the dreams of Corporal Allen Melvin (James Edwards). At a time before digital special effects had been invented, Frankenheimer presents us with a dazzling display of scene cutting and imagery in the dream sequences. In them, it appears that the soldiers are at a women’s garden club meeting. 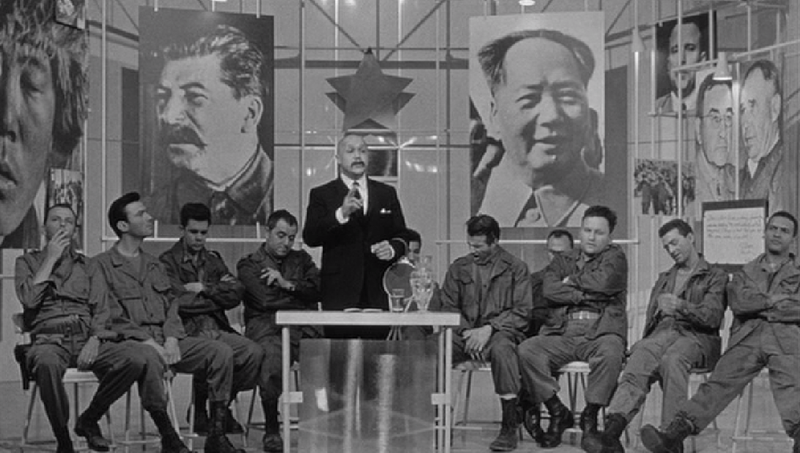 A rotating set was used to let the scene change seamlessly from this benign image to the real one, which is a gathering of Chinese and Russian communist military and scientific operatives at a demonstration led by Dr. Yen Lo (Khigh Dhiegh). At certain points the two worlds bleed into each other, as happens in dreams: the Russians and Chinese show up at the garden club, and a bayonet turns up in the hands of one of the women. The scientist’s words are spoken by one of the women. The soldiers appear bored as Lo orders Raymond to strangle one of the men and shoot another, the latter followed by blood splattering, appropriately, on a large picture of Soviet leader Joseph Stalin. Raymond’s politeness, and the accommodating demeanors of the smiling soldiers, are manipulated, sham behaviors elicited because the men have been fooled into thinking nothing threatening is happening; the benign mental constructs built by Dr. Lo are window dressings that do not allow them to see the killings occurring right in front of their eyes. The contrast between what is happening and the calm of the participants is chilling. This film uses the stereotypical impression at the time that women are weak and defenseless, and turns it on its head. The soldiers are lulled into thinking their surroundings are safe in their brainwashed state. (Melvin, an African American, pictures all black women present, making him feel more secure). But these women are a disguise meant to disarm them, camouflaging the present danger around them. We learn that Raymond’s heroic actions are a ruse to cover-up the real reason that the company was missing, which is to turn Raymond into an assassin. Also, by making Raymond appear like a patriotic hero, he will not be suspected of being just the opposite, a threat to American security. Marco tells his superiors of his nightmares. But, when asked what he thinks of Raymond, he says he is “the kindest, bravest, warmest most wonderful human being I’ve ever known in my life.” (Melvin repeats the same statement, word for word, like an automaton, when his wife asks him about Raymond following one of his nightmares.) Now Raymond doesn’t even like Christmas, saying one day of the holiday is bad enough, let alone twelve. He later admits that he simply is not a lovable person. Marco knows something is wrong because two opposing beliefs are in his head – one that Raymond is a wonderful person, and the other, illustrated by him saying, “It isn't as if Raymond is hard to like. He's impossible to like!" His attempt to distinguish the lie from the truth pushes him to the brink of a breakdown, and he is put on disability leave. When he seeks out Raymond to see if the ex-sergeant, too, is having nightmares, he encounters Chunjin who has become Raymond’s valet. Here we have another disguise, with the Korean pretending to be someone taking care of Raymond, while actually spying on him. Marco, whose alertness to the enemy is more advanced than the others so that his subconscious surfaces into his conscious state, realizes that Chunjin is a threat. (Evidence as to Marco’s insight is the fact that he reads a great deal, and among the titles we see are The Trial and Enemies of the State, showing his research into conspiracies). 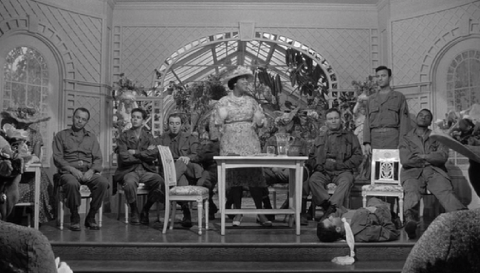 He yells at the Korean as they fight (the first karate battle in a Hollywood film), asking him what was he doing there at the meeting in his nightmare, and what was Raymond doing with his hands (Marco remembers seeing Raymond moving his fingers, as if holding something, another form of pretending). 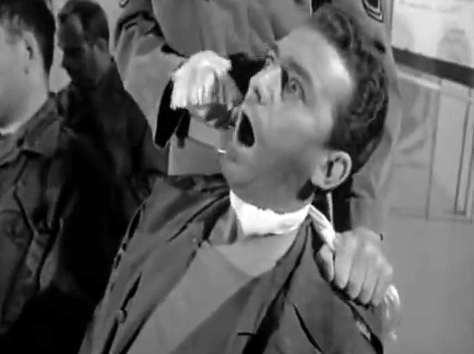 The police arrest Marco after he helps wreck Raymond’s apartment in the fight, and he calls Rosie, (Janet Leigh – more about her later), to bail him out. We see something curious at the police station. There is a man in the background who appears to be putting on his trousers. This image echoes back to the soldiers at the club in Korea, who are in a state of undress. Is this policeman being “caught with his pants down,” symbolizing a country not really knowing who the enemy is? After his release, Marco shows up at Raymond’s place, and the occupant is outraged by Marco’s actions. The latter does discover that Melvin, still unaware of any threat, sent a letter to Raymond, thinking absurdly that Raymond was his best friend in the Army, asking him if he, too, is having similar disturbing dreams. Marco is relieved because he now knows he is not going crazy. He brings this information to his superiors in Army Intelligence, and he recognizes the pictures of two Russian and Chinese intelligence agents who were in his nightmare. Melvin identified the same two. The Army assigns Marco to stay close to Raymond to discover what is going on. Raymond receives a phone call. The voice tells him to pass the time by playing solitaire. 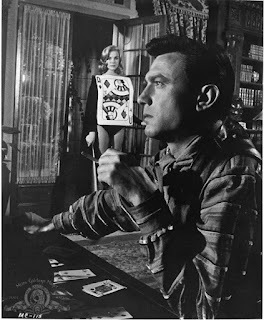 After the Queen of Diamonds is exposed, this supposedly harmless game becomes a sinister tool, turning out to be the mechanism to trigger Raymond’s subconscious conditioning. 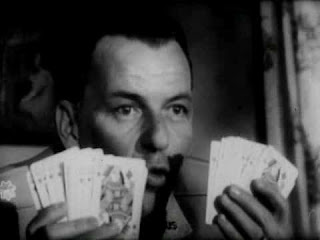 The game of solitaire is efficient because Raymond does not have to interact with anyone else; it also is significant because it mirrors Raymond’s alienated, lonely nature. When he is awake, even though he is unlikable, Raymond does not pretend to be anything but himself. But, when he plays the card game, he turns into a programmed robot-like being, with no emotions. In many ways he looks like one of the “pod” people in Invasion of the Body Snatchers, who, after being taken over, present a disarming, normal appearance, but are really dangerous. 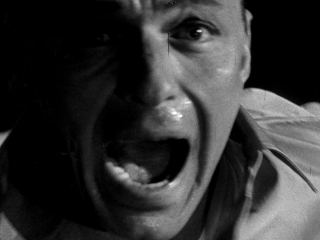 Just like that 1950’s movie, there is here the theme of self-betrayal. Raymond is ordered to check into a hospital to determine if his conditioning is completely intact. The conspirators concoct a fake story about Raymond being involved in a car accident – more deception. The place where Dr. 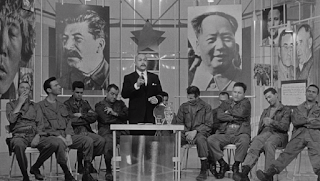 Lo examines him is, too, a phony, a clinic run by the communist agents, appearing to be so authentic, it passes for a capitalist institution, and makes a profit. Lo says he has constructed a perfect weapon because there is no memory of the murderous act which eliminates the emotion of guilt. And, since the killer does not know that he committed the act, he has no fear of being caught. Lo drives home the idea of the danger of this deceptive disguise by saying Raymond will “appear” to be a productive, normal member of society. 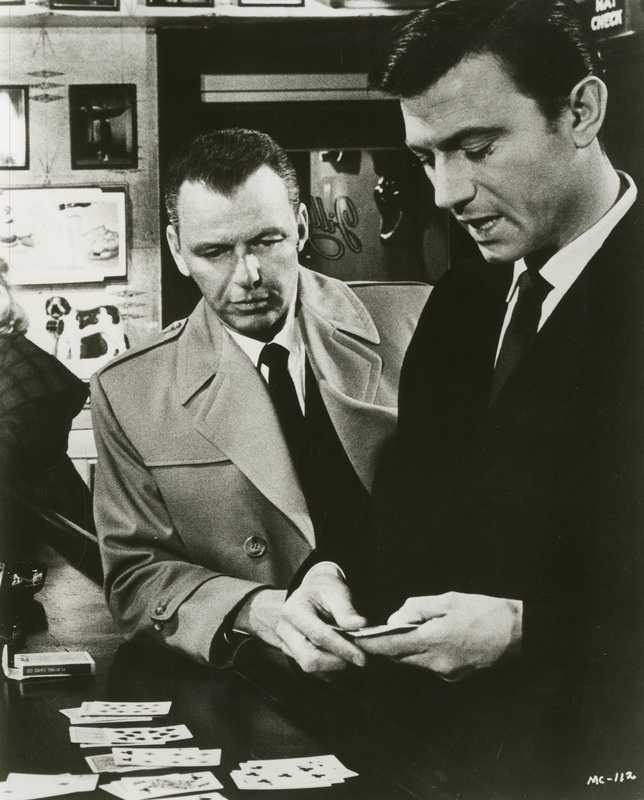 Before he is turned over to his American operative (mystery added here as we now know that there is an unknown American mole), as a test to see if Raymond will still carry out a kill order, Lo tells him to murder his boss, Holborn Gaines (Lloyd Corrigan). In another chilling scene, because of Raymond’s calm, polite manner, he shoots his employer who was kind enough to give him employment, adding to the list of betrayals. Where is Gaines murdered? He is in his sleep-inducing bed, comforted by wearing his dead wife’s sleep wrap, ready to be lulled into a state of non-alertness, where he, like the rest of us, think he is safe. The film is saying, “Think again.” What appears to be a sanctuary can easily be compromised by someone you think is a friend. In trying to get close to Raymond and discover what plan he is involved in, Marco gets his ex-Army comrade drunk. 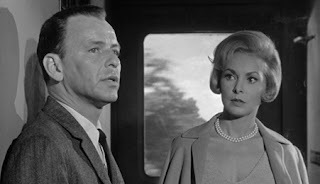 We learn that Raymond has a “lovable” side, because he fell in love in the past with Jocelyn Jordan (Leslie Parrish), daughter of left-leaning Senator Thomas Jordan (John McGiver). 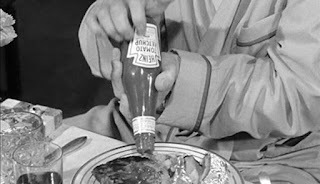 The Senator had reason to sue Raymond’s mother in the past for slander. She and Iselin are crusading anti-communists, and she named Jordan as a member of the party. There are noteworthy aspects in Raymond’s meeting up with Jocelyn and her father. A poisonous snake bit Raymond, and Jocelyn happened by on her bicycle. Since her father has a heightened awareness of deadly snakes, his daughter carries medicine with her. She only has her blouse top to tie off the circulation at the wound near the ankle. She takes it off, revealing only her bra underneath. Yet, there is no shame or negativity about this partial disrobing, which contrasts to the undressings in previous scenes, because she uses the discarded garment as a tool to fight something threatening. It seems we have here a reversal of the Garden of Eden story, and another subversion of the weakness of women; Jocelyn is innocent, before the fall, unashamed of her body. She is not an instrument of the devil, aka the Serpent, here, as she thwarts its poison. Senator Jordan, like Marco, is on alert against true enemies, which his awareness of poisonous snakes hiding in the grass, ready to spread poison throughout a healthy body – the nation’s democratic freedom – symbolizes. However, Raymond’s mother exerted her control over her son, and had him send a “vile” letter, cutting off the relationship with Jocelyn. It is now right after Christmas, usually a happy time of the year in most stories, but which contrasts with the current goings on in this tale. Raymond, arrives at a bar to meet Marco, and accidentally overhears a bartender talking to customers about playing solitaire. He uses the establishment’s deck of cards, sees the Queen of Diamonds, and the bartender says he told someone to drive to Central Park and jump in the lake. Marco arrives just as Raymond leaves. He follows him and then helps him out of the lake. Marco now realizes that in his nightmare Raymond could have been pretending to play cards with his hands. He also noticed that he went off after the Queen of Diamonds appeared. After talking with the military’s psychiatrist, Marco remembers from his dream that the scientist said, “The Queen of Diamonds is reminiscent in many ways of Raymond’s dearly loved and hated mother … and is the second key to clear the mechanism for any other assignment.” So, Marco now thinks he knows how to reverse the plot involving Raymond, whatever it may be. Mrs. Iselin, too, subverts the notion of women being weak and non-threatening. She is the power behind her dim-witted husband, who, unlike Raymond, is an awake, conscious puppet. He is an obvious reference to Senator Joe McCarthy, calling everyone a communist, in this case per his wife’s orders. All he wants is for her to stop changing the number of fictitious communists in the Defense Department, and give him one easy figure he can remember. 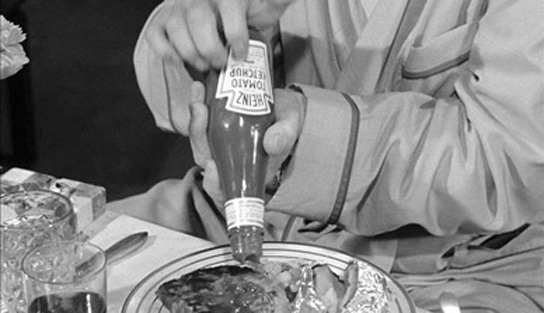 She sees him using a bottle of Heinz Ketchup, and settles on “57,” the number of varieties of products the company offered. This incident is a funny, but cutting comment which shows how a simple everyday product can be used as a tool to tell a dangerous political lie. She learns that Jocelyn is returning from living abroad, and decides that reuniting Raymond with her will cause her father not to block her husband from becoming the vice-presidential nominee. She decides to throw a homecoming party for her. 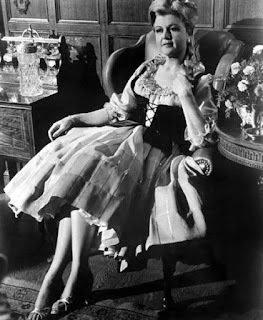 But, significantly, she makes it a costume party, which emphasizes the disguise motif of the film. The Iselins originally appeared to be insincere and opportunists, but we now have learned that they are a much greater threat to the country. When Senator Jordan vows to stop Iselin at all costs, he says, “There are people who think of Johnnie as a clown and a buffoon, (an impression held by some now of a particular presidential candidate? ), but I do not. 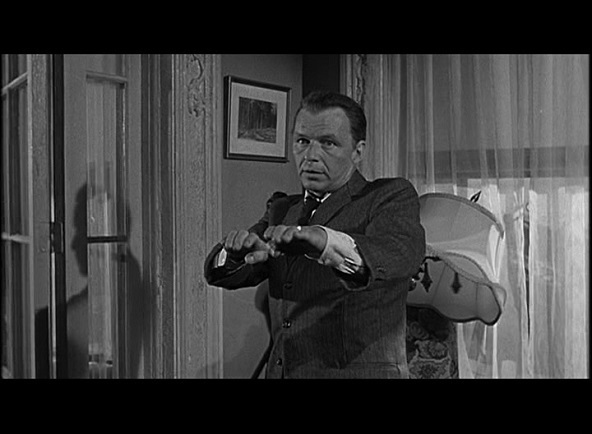 I despise John Iselin and everything Iselinism has come to stand for (substitute McCarthyism). I think, if John Iselin were a paid Soviet agent, he could not do more to harm this country than he’s doing now.” There is a rich irony here, since Iselin is a Soviet agent. Here is also the argument of the movie: by going on witch hunts, saying everyone is the enemy, it makes it very difficult to know who the true enemy is. And, when one always points to all members of a movement or of a belief system for causing problems, one can throw off suspicion from oneself for any wrongdoing. There are several times during the film where Abraham Lincoln’s noble, revered image is undermined by the Iselins. Iselin looks into the glass-covered portrait of the former president, significantly one who was assassinated, seeing his own reflected image, which symbolizes the threat to the country for whom the great president sacrificed himself to preserve. The bust of Lincoln sits in the Iselin study, desecrated by the occupants who participate in the worse type of betrayal – treason. At the costume party, Iselin dresses up like Lincoln, turning the great man into a caricature as Iselin dances the limbo (how low can we go to have this man in a high office?). A particularly satiric, and scary image is the one of this faux Lincoln digging into a caviar representation of the American flag, desecrating the symbol of the country’s unity and history, and literally devouring it. At the same time, he hides his true allegiance by saying of the caviar that it’s not Russian. 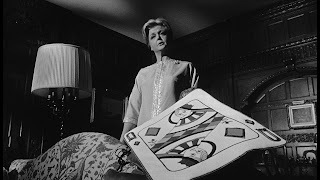 When Raymond returns to his mother’s home to stop Iselin from trying to get Senator Jordan impeached and tried for treason, Mrs. Iselin, in an ironic act of retribution, uses Jocelyn’s Queen of Diamonds costume to turn Raymond away from his wife by exerting her power over Raymond. Because Jordan is a threat to her husband, she orders Raymond to kill the senator. Again, the killing takes place in a place of presumed security, Jordan’s home, and even he, in the relaxed clothing consisting of pajamas and a robe, is not aware of the imminent threat. The bullet goes through a carton of milk he is holding, its pristine, white liquid ironically mixing with the betrayed blood of his wound. But, the ultimate horror occurs when Jocelyn appears, and according to Lo’s orders, Raymond shoots her as a witness. Here, love does not conquer all. 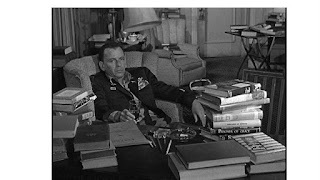 When Marco brings a newspaper into his home with the headlines informing the reader of the deaths, the camera angles are askew, showing how the world has been knocked off-balance. Despite no evidence, Marco knows Raymond is the killer, and feels guilty for giving Jocelyn the time before acting to bring Raymond in. Raymond, his subconscious guilt attacking his programming after reading about the deaths of Jordan and Jocelyn, calls Marco. The Major visits him in a small rented room just across from the convention center. Marco shows up with a deck filled with the Queen of Diamonds face cards. He finds out the whole scheme from Raymond, but does not yet know his true mission. Marco basically tells him that his brainwashing is over, that he is not to play any more solitaire, and that he should call Marco when he knows what the end game is. Raymond gets a call, tells Marco it’s from his “American operative,” and then says, “Yes, Mother,” and leaves to meet her. Marco’s eyes widen in surprise at the depth of the manipulation. 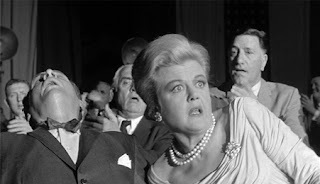 We also learn that Iselin has won the vice-presidential nomination with Senator Jordan eliminated as an impediment. Mrs. Iselin reveals Raymond’s purpose in the plan. 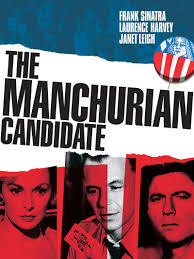 He is to kill the party’s presidential nominee during his acceptance speech, so that Iselin can give a speech, worked on for years in Russia, and they will sweep into office with powers granted to them to protect the country “that will make martial law seem like anarchy.” The question then arises, who should we most be on alert against, the obvious foreign enemy, or the domestic one who only pretends to know what’s best for the country? But, Raymond’s mother is planning a betrayal of her own. She asked for “a killer from a world full of killers,” but they chose her son because according to her, “they thought it would bind me closer to them.” But, she says when she takes power, “they will be pulled down and ground into the dirt for what they did to you. And what they did in so contemptuously underestimating me.” Her depraved influence on Raymond comes to the surface as she seals her promise with an incestuous kiss on his lips. Be afraid, be very afraid. 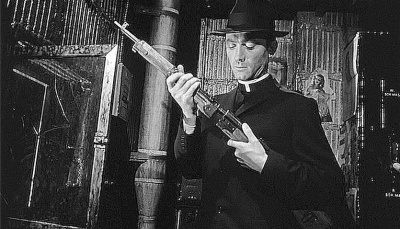 In another bit of disguise to falsely reassure others of the absence of a threat, Raymond dresses up as a priest. He heads to a small booth near the ceiling of the hall, and assembles a rifle that Chunjin provided him. 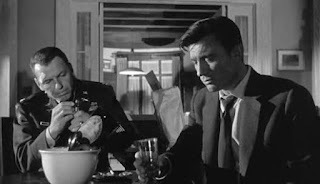 Marco, sweating profusely, as he does throughout the film emphasizing the tension he is under, waits for the call from Raymond that does not come. 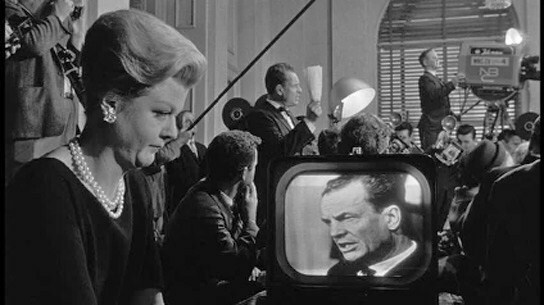 On the television, we see a couple of convention delegates wearing the Lincoln beard, implying that Iselin’s political poison is going viral, and who appear as harbingers of an assassination. Marco decides to go to the convention to stop Raymond. He sees the booth lit up and rushes to it. 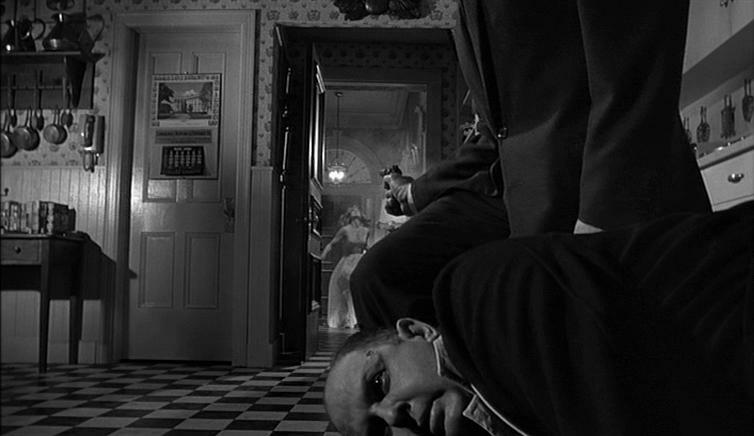 Raymond, instead of killing the nominee, shoots Iselin and his mother. He puts on the medal of honor, and as Ben breaks into the booth, says that only he could have stopped them. He turns the rifle on himself, and commits suicide. 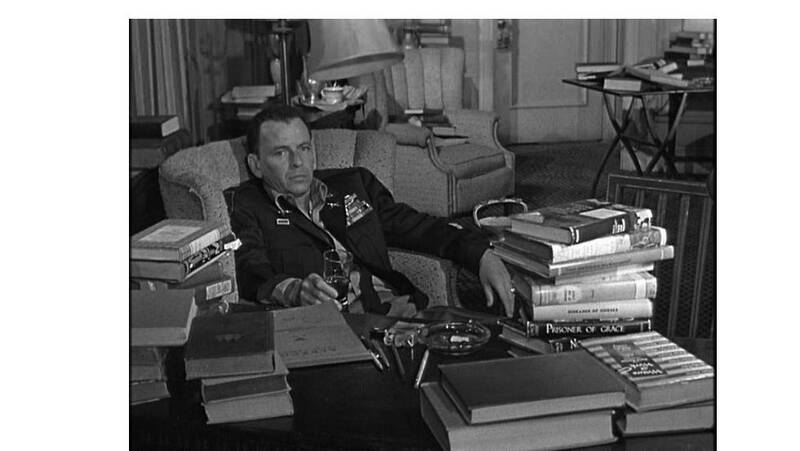 The film ends with Marco reading about men who earned the Medal of Honor. He delivers a testimony to Raymond, whose only audience consists of Rosie and himself. The unlikable soldier who had his soul stolen, the phony hero, redeemed himself by earning his medal, saving his country from tyranny. Raymond was supposed to shoot the nominee right after he said that he would give up “my life before my liberty.” If Raymond would have killed him, he would have lost his life, and the country would have forfeited its freedom. But, in the end, Raymond sacrificed his life to preserve his country’s liberty. But, this a sad, frightening tale. Marco’s last words are “Hell. Hell,” which is where he, and perhaps, us, feel, in horrible times, we reside. The next film is Unforgiven.